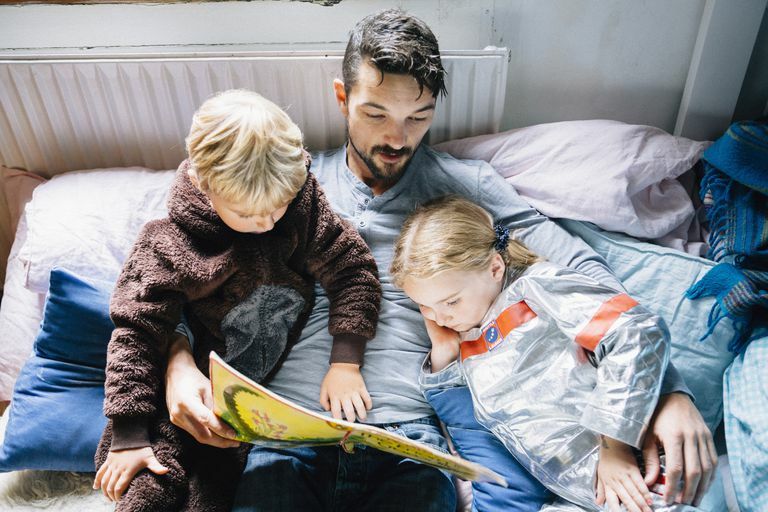 Are You Ready to Be a Stay-At-Home Dad? There are a lot of fathers out there who say they want to be a stay-at-home dad, but could they hack it if given the opportunity to care for the kids full-time? Most likely, but it isn’t a move to be taken lightly and there is some preparation to do. After all, the happiness of both dad and kids is at stake. Careerbuilder.com has conducted an annual survey of working dads throughout this decade, and consistently about four out of 10 of them have said they would be a stay-at-home dad if their families were in the right situation. But what is their true motivation? Staying at home isn’t getting to wake up when you want or have the freedom to do as you please during the day. The kids usually dictate the schedule. So how do you know if you are ready to join the ranks of stay-at-home dad? There are a few important issues to consider. Are You Ready for the Job Transition? This is one of the biggest career moves a dad will ever have to make. He will be going from the rat race to domestic chaos. Adult interaction will be limited and dad will be on call 24 hours a day. Instead of pounding away at the computer for eight or more hours, you'll be tossed into the world of play dates, dinner menus, and housework. Obviously, perks include getting to enjoy the day with the children. Field trips are a little more common and cubicles will be extinct. But the days will be full with little chance for a break. If you don’t want to change the baby’s fourth poopy diaper of the morning, there is no co-worker to hand off to. It is all up to you. Although the move can be very gratifying, if working and producing something every day is what fulfills you, think hard about what will make you most content. The kids aren’t going to get a lot out of an unhappy parent. Does Your Family Support the Move? When you become a stay-at-home dad, you're impacting everyone in the family. While it may seem that your spouse and kids should jump at the chance to say "yes," they may have concerns you haven't considered. It is essential that you discuss becoming a stay-at-home dad with your spouse, and your children if they are old enough to help process the idea. If you don’t have the support of the key players, there is no point in going forward. How does your spouse feel about you becoming the kids' primary caregiver? Are you and your wife okay with her being the breadwinner? How will you handle different parenting roles and any disagreements that may result? What about the housework? Figure out what the answers are and make sure the family is comfortable with them before coming to a concrete conclusion on becoming a stay-at-home father. There can be many financial advantages to not working. Working costs a lot when you factor in childcare, car costs, clothing, business lunches and even snacks in the office. But most people work for a reason: they need the money. A family must evaluate their financial situation and determine if losing the extra income is acceptable and whether or not the remaining paycheck will be enough to keep the household afloat. Even if the answer is yes, it will be important to adjust to living on one income. This could be the first time the family has had to deal with that. Money is one of the primary stresses on families. Make sure you are on top of the finances before making a SAHD decision. It is essential to be in the right frame of mind and have a good idea what is going to be thrown at you every day. Even with that preparation, you will still need to adjust to many curveballs and some pitches you weren’t expecting at all. A stay-at-home dad will likely feel some burnout and a little isolation. He will also have to deal with stereotypes, many of which are negative. Knowing that these potential challenges are out there, and being ready to deal with them, is key to being content in the role. Don’t forget that staying at home means managing everything from shopping to cleaning to chauffeuring the kids. That means there will be meals to plan and prepare, errands to run and, most importantly, looking after the children to do all at the same time. It can be very tiring. The best preparation is a good mindset. So a dad has to determine if he is up to the challenge, which can be easier said than done. But once the transition is made, the rewards can be endless.